Wednesday the 29th November saw our MID Communications Christmas Roadshow 2017 take place. It was an amazing night bringing the whole business together with a fantastic turnout especially when considering how close we are to Christmas. Firstly, just a massive thank you to Jenn Hulme, our Head of HR and the woman behind it all! Without her, the Roadshow probably wouldn’t even happen and the opportunity for everyone at MID Comms to join together in one place would be missed. She put on a fantastic event with prizes, freebies and fun activities along with feedback from a fantastic year and our plans for 2018. We had some great talks and presentations from several of our MID Comms teams and it was the chance to give our MID Commers the recognition they deserve for delivering an unbelievable performance throughout 2017 for the business. Moreover, everyone got the time to mingle over food and drink which is great because we are always looking to promote a togetherness in the company right from stores to Head Office and that was definitely achieved with the MID Comms Christmas Roadshow 2017. Brand new currency, the MIDCoin! 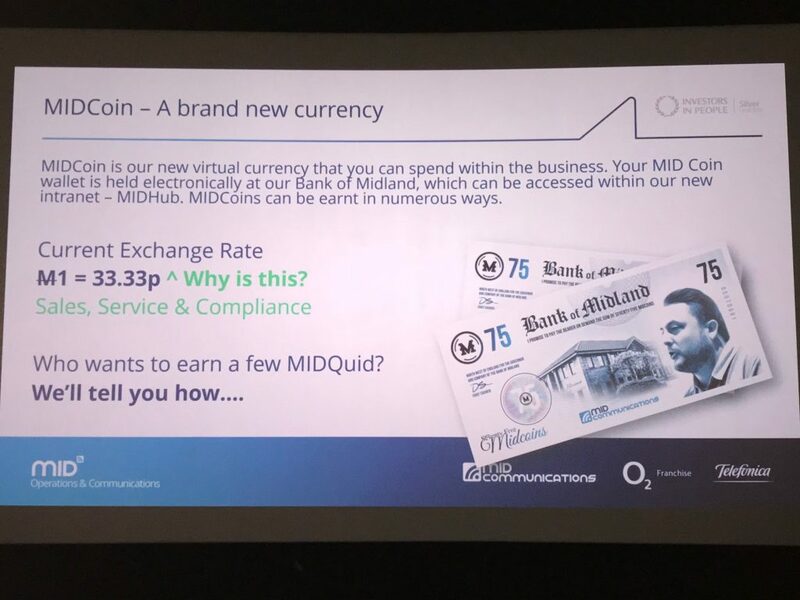 One of the biggest announcements to come out of the MID Comms Christmas Roadshow was our brand new virtual currency, the MIDCoin! There will be numerous ways our teams and individuals can earn and spend MIDCoin within the business. Also, everyone will have a MIDCoin wallet, held electronically at our very own Bank of MIDland, which can be accessed through the MIDHub, our brand new intranet. Currently, the exchange rate is 1 MIDCoin to 33.33p GBP. This is going to be a fun way to engage our staff and encourage them to earn incentives through the use of MIDCoin. 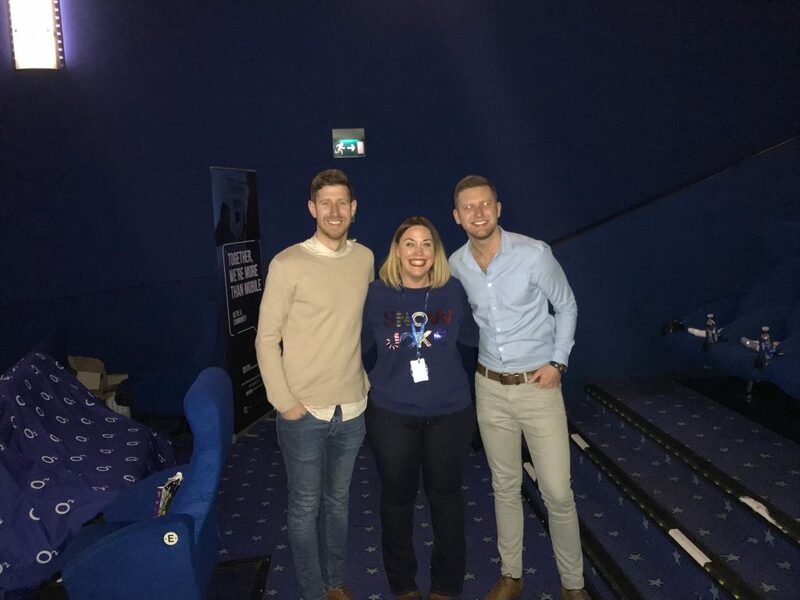 An idea conceived by our CEO, Danny Simpson, 5 Days of #WOWMAS was an opportunity for people in stores and head office to get recognised for the amazing things they do behind the scenes that don’t usually get noticed. The campaign took place on Twitter from the 24th to the 29th November with everyone being able to tweet their nominees with a reason for why they deserved to be our #WOWMAS champions. There were many fantastic nominees for various reasons ranging from sales performance in store to Zoe Chaplin, who organised the Great MID House Bake Off 2017 in our Head Office. All were worthy of their nominations and were rewarded for their efforts but in the end, the decision had to be made who would take the top prize of an Xbox One S bundle. 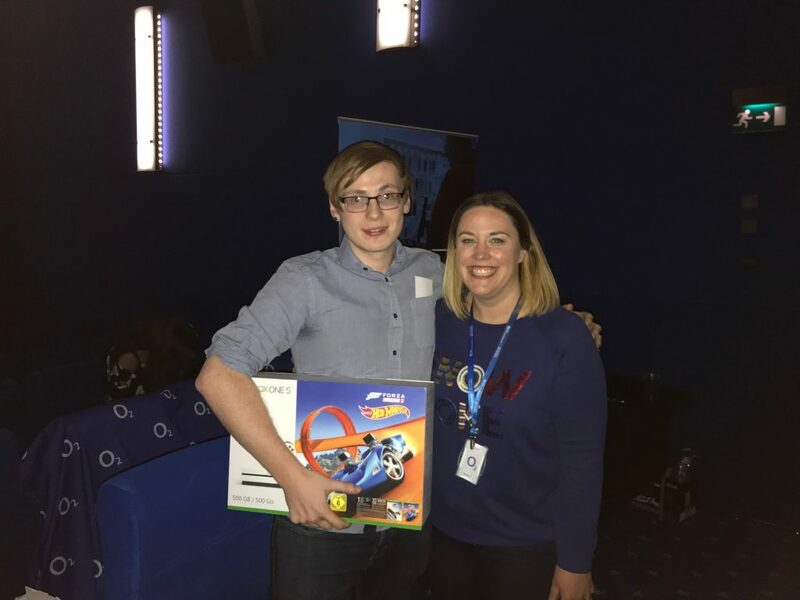 Luke Hinchcliffe, our O2 Guru for Buxton, was the winner and it must be said it was well justified. Luke spent an hour helping a customer transfer her family photos to her new phone after being moved from Apple to Samsung by a competitor and being left to set it up herself. This is the sort of customer service we strive for and is one of the many positives we got to see at the MID Comms Christmas Roadshow. Mission Christmas is now well underway, we can see some real fantastic engagement with this heart-warming cause and the MID Comms Christmas Roadshow saw Jay, our Events & Marketing manager, declare the winners. 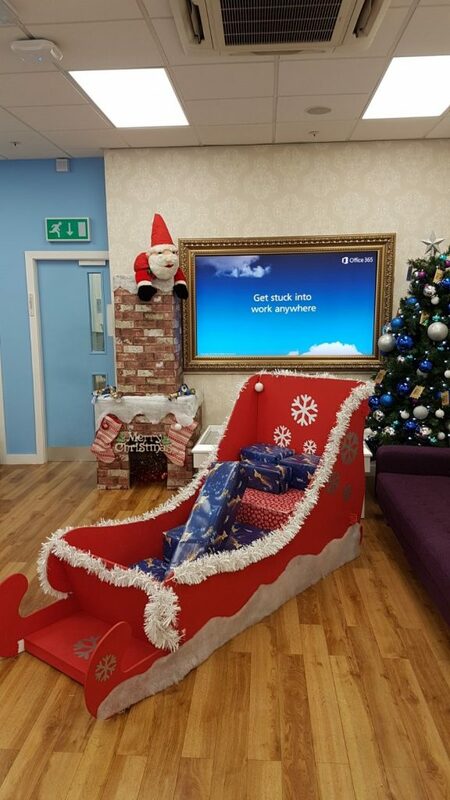 The Donation Station Creation competition saw some unbelievable masterpieces constructed and was a great way to bring together our store teams in support of Mission Christmas. Although they were all great entries, Middleton absolutely smashed it with their outstanding effort and were deserved victors showing what we can do when we unite behind a worthwhile cause. The roadshow was also the chance for everyone to see the results of the Employee Opinion Survey 2017. Jenn delivered the largely positive results and we got some great feedback with 75.5% of the company responding. Things like the opinion survey are is essential for us to improve and build by letting the most important people, our staff, vhave a voice and say what they think about the company. It allows us to target and pinpoint key areas to focus on in our planning for 2018. 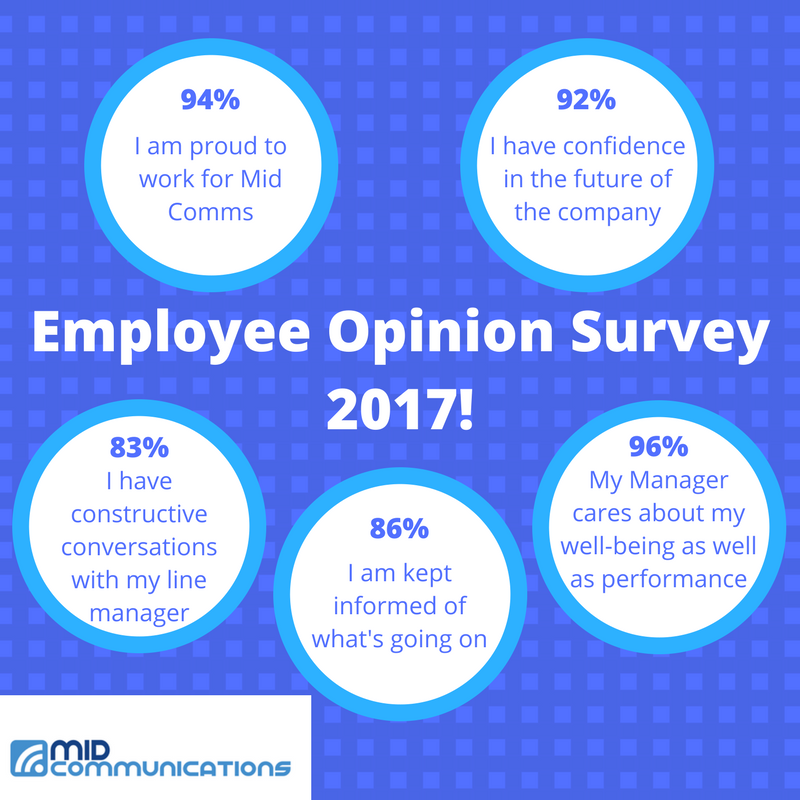 Statistics like 94% saying they are proud to work for MID Comms really promotes a positive image that we ourselves are extremely pleased about. 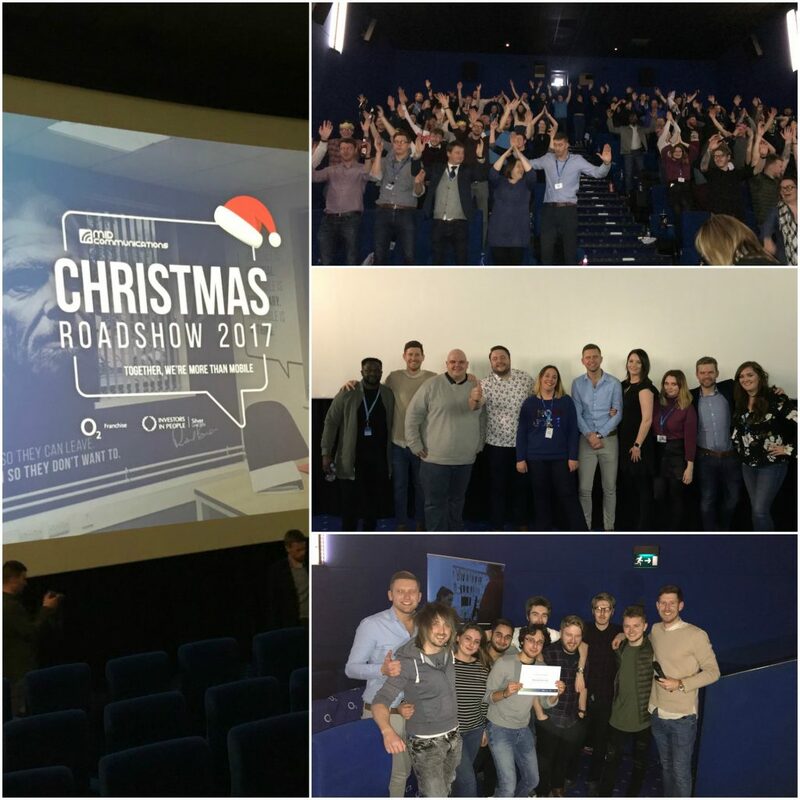 All in all, the MID Comms Christmas Roadshow was a massive success and we hope we can build on this in 2018 with more roadshows and many more exciting and surprising events to bring the whole MID Comms team together in one place.